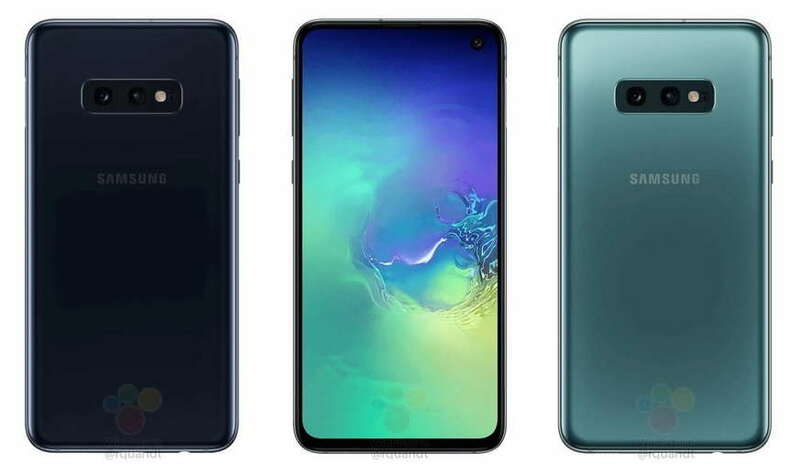 Earlier today, folks at Vinfuture shared several new renders of Samsung’s upcoming Galaxy S10 devices including Galaxy S10E, S10 and Galaxy S10+ claiming that they are official renders. The folks at WinFuture.de have now shared new renders of the upcoming and the smallest Galaxy S10E aka (Galaxy S10 Lite) variant. Notably, Samsung is yet to confirm the naming scheme for its upcoming Galaxy S10 device. However, the new renders of the Galaxy S10E reveal a flat-screen according to the source. It also reveals the device to come with a dual rear camera setup at the back. The renders further reveal no curved edges on the right or left. The device also appears to have a single punch hole camera at the front. To be honest, the render of the Galaxy S10E makes the device look a lot like Apple iPhone X. The post at winfuture.de further reveals that the upcoming Galaxy S10E will feature a side mounted fingerprint sensor placed on the power button. According to a recent report, the S10E will be priced at €750 for 6GB of RAM and 128GB of storage variant and will come in black, green, and white color option at the launch. The device will also be available in Blue and Yellow color variant but on a later date.